One State School District? It Depends. Someone leaked a memo from the Scott Administration proposing some pretty big changes to the structure of the Vermont public school system, including the adoption of one, statewide, school district, universal school choice including approved independent schools, a statewide teacher contract, and the elimination of the State Board of Education. The Scott folks say this is not a proposal, just some thoughts designed to spark debate. Okay, let’s debate! Universal, statewide school choice including independent schools is a great concept. The caution here is that, in the language of the memo, the Department of Education would determine which independent schools would be allowed to participate. Now it is a disinterested third party, New England Association of Schools and Colleges, that accredits independent schools for tuitioning purposes based on merit (meeting certain criteria). Allowing a political agency to cut out certain independent schools “just ‘cuz” should not be a part of any reform. “Universal school choice” is only a benefit when the system allows for many different choices. One statewide school district might or might not be a good idea, depending upon how it is implemented. If the objective is to eliminate a lot of the mid-level bureaucracy at the supervisory union level while – and this is key – devolving decision-making power back to local principals and local, volunteer school boards, this would be great. 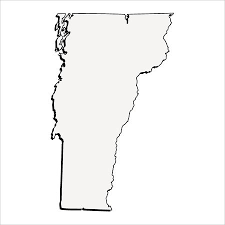 However, if the idea is to consolidate power and decision making in Montpelier, then, no, this is not a good idea. Exactly! I am with you! I am initially for it. Less confusion, more choice and less bureaucracy. However the down side would be too much control under one roof. It is an interesting concept and I’ll await more info. Taxes are still collected and redistributed. The government is still in charge of education. People who want the government OUT of education must jump through government hoops to retrieve their money or lose it. Also, what about people who don’t want to have money redistributed to them and just want to not pay the education tax? It puts them in an uncomfortable position. Parents are still have little say over the selection of teachers and curriculum. People are still forced to fund philosophies, subjects, teaching, ideas, policies, etc., they disagree with. [Art.] 6. [Morality and Piety.] As morality and piety, rightly grounded on high principles, will give the best and greatest security to government, and will lay, in the hearts of men, the strongest obligations to due subjection; and as the knowledge of these is most likely to be propagated through a society, therefore, the several parishes, bodies, corporate, or religious societies shall at all times have the right of electing their own teachers, and of contracting with them for their support or maintenance, or both. But no person shall ever be compelled to pay towards the support of the schools of any sect or denomination. And every person, denomination or sect shall be equally under the protection of the law; and no subordination of any one sect, denomination or persuasion to another shall ever be established. Acquiescing to any central control is a mistake. Undermines individual, family and local government. Compromising to state wide district in return for the elimination of state administration is as unlikely as it is undesirable, knowing the political appetite towards government largesse, and the need for some degree of uniformity in establishing education standards/institutions uninfected by ideology. Besides, would Vermont be able to do what Iowa is doing right now – middle school districts mandating education in the use of fire arms? Vermont needs to get back on board with its heritage of independence, as demonstrated in the history of its Constitution, the first established directly by its citizenry, and there to the direct Constitutional delegation to the towns of school authority, notwithstanding bald obiter dicta assertion in Brigham flying in the face of the preceding charter authority of the towns which established the Constitution in the first instance, the difficulty of the 1777 delegation cured in those of 1786 and 1792. What was that about ‘Vermont Strong’? exponentially. Witness the accumulation of new positions in the Bennington-Rutland district since Act 46 merged nine of it’s eleven towns into the ‘Taconic & Green district. $32,000,000 piece of change. Way more than the traffic should be asked to bear. Much of this budget is for administration positions created since the mergers.